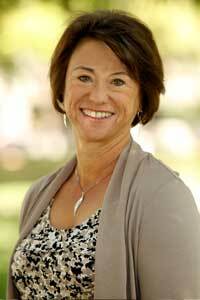 Dr. Gale Sinatra is a Professor of Psychology and the Stephen H. Crocker Professor of Education at Rossier. Her areas of expertise include climate science education, evolution education, learning theory, knowledge construction, conceptual change learning, literacy acquisition, assessment, and the public understanding of science. Her recent research focuses on understanding the cognitive and motivational processes that lead to successful learning in science. Specifically, Sinatra focuses on the role of motivation and emotion in teaching and learning about controversial topics, such as biological evolution and climate change. Sinatra developed a model of conceptual change learning, which describes how motivational factors contribute to the likelihood that individuals will change their thinking about a scientific topic. She recently served as Co-PI on National Science Foundation grant, which resulted in a co-edited volume published by Oxford University Press entitled, Evolution Challenges: Integrating research and practice in teaching and learning about evolution. She comes from her previous appointment as Professor of Educational Psychology at the University of Nevada, Las Vegas, where she served on the faculty since 2000. Sinatra received her B.S., M.S. and Ph.D. in Psychology from the University of Massachusetts, Amherst. Sinatra is the past Editor of the American Psychological Association (APA) Division 15 journal, Educational Psychologist. She recently served as Vice President of the American Educational Research Association (AERA) Division C, Learning and Instruction, and a Fellow of both APA and AERA. 2012 Professor, Joint Appointed in Psychology, USC Dana and David Dornsife College of Letters, Arts and Sciences. 2012 Professor, Rossier School of Education, University of Southern California. 2003-2006 Interim Graduate Dean, Graduate College, University of Nevada, Las Vegas. 2018 National Science Foundation, AISL Program. Co-PI. Re-Living Paleontology: Studying How Augmented Reality Immersion and Interaction Impact Engagement and Communicating Science to the Public. Awarded $1,471,459. 2014 Mattel Children’s Foundation. Mattel Speedometry Phase II District Wide RTC, Co-PI. Awarded $784,000.00. 2014 Social Sciences & Humanities Research Council of Canada (SSHRC), Co-PI, Fostering epistemic belief change: The role of epistemic emotions and self-regulated learning. Total Award: $497,286 (CAD). Awarded $13,700 (CAD) to USC. 2014 Bill and Melinda Gates Foundation. Scaled Models for Certificate Delivery Phase II, Awarded: $99,242.00. 2014 Fund for the Improvement of Post-Secondary Education First in the World Program, Key Personnel, Improving Access to College through Games, Technology, and Social Media. Awarded: $3,200,000. 2013 Bill and Melinda Gates Foundation. Scaled Models for Certificate Delivery, Awarded: $9,523.81. 2012 Mattel Children’s Foundation. Using Hot Wheels to Teach Mathematics and Science Concepts. Awarded $250,000. 2011 Social Sciences & Humanities Research Council of Canada (SSHRC), Epistemic beliefs and emotions: Examining their roles in self-regulated learning and epistemic change. Awarded $167,236 (CAD). 2010 National Science Foundation, REESE Program, Co-PI. Understanding Emergence. Awarded $130,000.